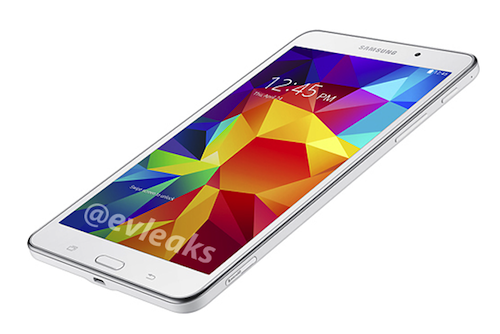 We have two pics of the upcoming Samsung Galaxy Tab 4 7.0 were leaked by @evleaks. These pics show off the smallest of the The Galaxy Tab 4 series which will eventually arrive in 7-inch, 8-inch, and 10-inch models. They contain the usual Samsung aesthetics. 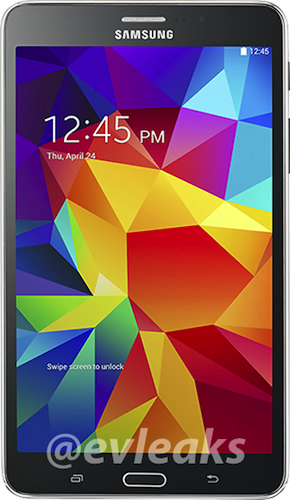 Additionally, these pics reveal that the Galaxy Tab 4 7.0 will continue Samsung’s trend of including the ability to make phone calls on the device.